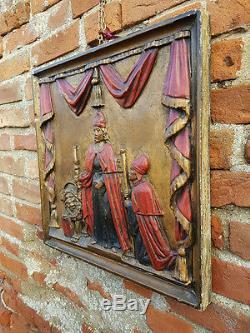 A giltwood and polychrome-decorated carved pine panel. Early 18th Century, originating from Venice. Entitled "The Doge of Venice". 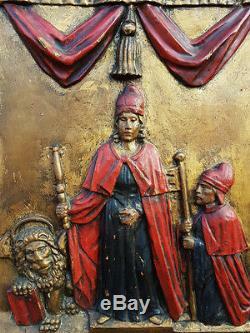 The panel depicts The Doge of Venice, wearing corno ducale and camauro, kneeling before a female figure, either Faith, or the female personification of Venice, the Lion of St Mark, carved with wings, halo and open book beneath his left paw, by her side, all within a border of tasselled swags. Provenance: From the Collection of Graham and Susan James and the sale of the contents of Luxford Farm, Crowborough, Sussex. This panel should be compared to Titian's The Doge Grimani adoring Faith, completed 1576, and the sculptural portrait of the Doge Francesco Foscari kneeling before the Lion of St.
Mark which adorns the cornice of the Porta della Carta of the Doge's Palace. Condition - some surface wear but all in all good. Dimensions : Height 18 1/2" x Width 18 1/2". We are a member of LAPADA (London and Provincial Antique Dealers Association) and CINOA. LAPADA is the UKs largest trade association for professional art & antiques dealers (representing approximately 500 UK dealer members). CINOA is the world association of Art & Antique dealer associations (representing 5000 dealers from 32 associations in 22 countries). All items are backed by our LAPADA guarantee. 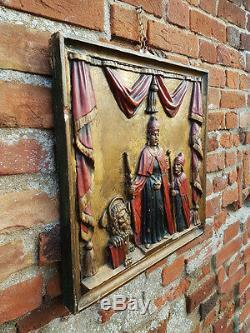 These can be viewed at our shop based in Little Walsingham, Norfolk, NR22 6BN. 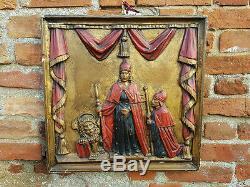 The item "18thC Italian Antique Carved Wood Panel Depicting the Doge of Venice" is in sale since Tuesday, May 9, 2017. This item is in the category "Antiques\Woodenware\Carved Figures/Models". 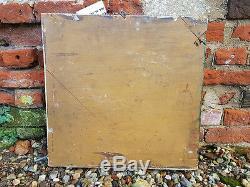 The seller is "holtantiquesltd" and is located in Walsingham. This item can be shipped to North, South, or Latin America, all countries in Europe, all countries in continental Asia, Australia.